[SatNews] NovelSat has just debuted their NovelSat Sky-Fi™—this is the first, portable, satellite-based wireless Internet access solution—using NovelSat Sky-Fi, Digital Satellite News Gathering (DSNG) operators now can offer free or low-cost public Wi-Fi access to venue and event operators. The best candidates for NovelSat Sky-Fi are venues where large groups of people demand Internet access but cellular service is either prohibitively expensive, congested or altogether inaccessible. Venues that can benefit most include sports and performance arena, tradeshows and large corporate events where data demands come from intense peak activity. Until now, the high-cost of satellite bandwidth has made space-based Internet connectivity economically unattractive to many event operators. NovelSat Ski-Fi delivers the satellite industry’s most bandwidth efficient satellite transmission, making it possible for DSNG operators to offer additional attractive Internet access solutions. The NovelSat Sky-Fi solution takes advantage of NovelSat NS3™ and NovelSat DUET™ satellite transmission technologies which are available on NovelSat NS3000 satellite modems. NovelSat NS3 typically improves spectral efficiency by 40 percent compared with gear based on industry standard DVB-S2 technology. NovelSat DUET echo cancellation technology doubles satellite capacity, already boosted dramatically by NovelSat NS3. 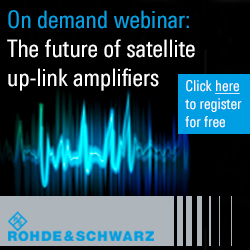 Together, these technologies reduce the cost of using satellite bandwidth so significantly that they create new opportunities for satellite communications service providers. Additionally, following live lab tests conducted by NovelSat, the company has announced that they have been able to transmit data at a sustained rate of 850Mbps using the entire spectrum of an 84MHz satellite bandwidth. That is compared with the previous industry record of 730Mbps, which was also far ahead of the industry, set by NovelSat in 2013. This enhanced spectral efficiency is available from NovelSat for new customers and existing customers with NovelSat NS3000 satellite modems, offering significant savings in operational costs. For teleports, telcos and cellular operators using satellite backhaul, and other organizations offering data intensive applications, this new breakthrough makes it possible to transmit high volumes of full duplex data, video and voice communication over a single transponder segment with no restrictions, even up to MODCOD 64ASPK 9/10 at 80 MSPS. The NovelSat NS3000 satellite modem used in the tests was powered by NovelSat NS3™ and NovelSat DUET™ technologies. NovelSat NS3 satellite transmission technology improves spectral efficiency, on average, by 40 percent and as much as 62 percent compared with gear based on industry standard DVB-S2 technology. NovelSat NS3 is also extremely resilient to jamming and interference, weather fluctuations and phase noise. NovelSat DUET band reuse technology doubles satellite capacity by using the same frequency for both uplink and downlink. 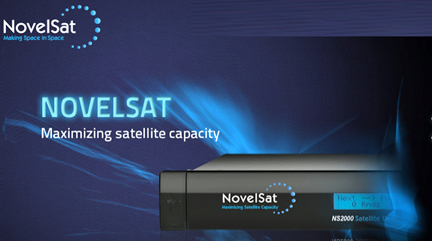 This capacity multiplication comes atop the world’s highest spectral efficiency, delivered by NovelSat NS3. Together, these technologies offer the scalability to deliver from 100Kbps up to 850Mbps on a single modem. NovelSat DUET also enables live video and IP data to be transmitted on the same channel without additional bandwidth allocation. According to NovelSat, the 100Kbps to 850Mbps milestone will be followed by additional technology announcements in the near term which will add even more capacity enhancements to the NovelSat lineup of satellite transmission products.